Rather tragic that you have seen fit to not only quote, but to direct people to the ramblings of someone with such a narrow and misguided agenda. Rather than giving him credibility, you have done little other than to cast grave doubt on your own judgement. Thanks for directing us to blogs such as these, Lee. As a resident of Arizona, I am very interested in her mineral resources and their careful exploitation. The potash in the Holbrook basin appears to have great potential. The State badly needs the jobs and tax revenues from such ventures. Kudos to the AZGS for publishing reports on salt, helium, potash, and other mineral resources. That's one of the duties that are clearly spelled out in the legislation that established the AZGS. Thanks for keeping us informed. Would have to agree with much of the above blog, but I'd have chosen a more suitable word than *exploitation*, careful or not, which often implies using something in a cruel or unjust manner. A little research has revealed that the blogger goodinfo, who you originally referenced, is neither an impartial nor unbiased contributor, but a Canadian, whose sole purpose is to use our soil and water to exploit us for his own selfish enrichment through a price appreciation in his significant share holdings in Passport Potash. So yes Lee, do give us all the honest technical reports both pro and con, but please don't refer us to dubious, self interested sources whose only goal is personal enrichment at our expense. Lee stated that Goodinfo is an investor in Passport. Most people who invest in a company hope that the company becomes profitible, their shares appreciate in value, and perhaps the company might reward them with dividends. That's what drives the business world. Characterization of Goodinfo as a dubious, self-interested Canadian source "whose only goal is personal enrichment at our expense," is neither impartial nor unbiased. Look at Goodinfo's blog and decide whether there's anything there you like. If there's nothing, don't return. Other readers, however, might find things of interest to them. That's not for Lee to decide. My primary concern is not about Goodinfo and whether he/she has made a good investment. I'm wondering whether there might be an extremely valuable potash resource in Arizona's Holbrook basin. Demand for potash is high because of the worldwide need for food. Potash fertilizer applied to some crops increases their yields. 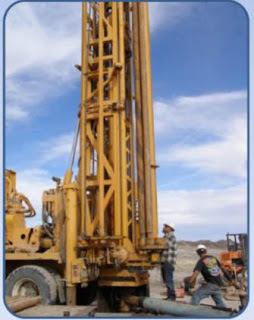 A producing phosphate deposit in Arizona would bring jobs and related tax revenues to the Arizona. Yea, we need jobs here, but we are quite stupid about it. We will mine, then ship it overseas to benefit a turd world nation. So, why should we send our precious resources overseas? God put these minerals for us to use. Let's not send it overseas, and then pay to have it returned to us in a bag. Has anyone considered the outrageous amount of water required for this mining "exploitation" ? Can Arizona, afford to lose such a natural resource, to line the pockets of investors, who do not live here? What about the dangers of contamination to our aquifer? Yes, we do need jobs, but at what cost to our citizens welfare. You began this series of comments by criticizing Lee for directing viewers to the "ramblings" of Goodinfo, whom you described as having a "narrow and misguided agenda." Then you stated that by doing so, Lee has cast grave doubt on his own judgment. For some reason you disliked or disagreed with Goodinfo's message and tried to coerce Lee into preventing others from reading Goodinfo's blog. Then you proceeded to demonize Goodinfo, a Canadian (God forbid) investor in Passport Resources, as a dubious, self-interested source "whose only goal is personal enrichment at our expense." Finally, you agreed that although we need jobs here, you are opposed to mining our own resources and shipping them oversees to benefit a third (corrected spelling) world nation. Your preference apparently is for the U.S. to sit on her own mineral resources and import them from other countries to meet our needs, even though we may have ample quantities of our own. Heaven forbid a Canadian company coming down here, investing millions of dollars, accepting the risk of failure, following our laws and regulations, hiring employees who live and work near project, paying federal, Arizona, and county taxes, and then selling some of the product to us at a profit. Through this series of exchanges you have demonstrated to viewers that you are not an impartial or unbiased contributor, but have your own agenda and biases. Some might even question your judgment. Lee told us up-front that Goodinfo supports Passport, but it took a little digging to discover what motivates you. How do you propose that Lee deal with this? My opinion, for what it's worth, is that Lee's providing a very useful service to the readers of this blog by informing us and giving us an opportunity to comment. An interesting and reasonable observation. Many investors undoubtedly think that way, unfortunately Mr Goodinfo isn't one of them, he doesn't work that benignly. not soliciting or inviting a reasoned discussion. That's not healthy *hoping*, that's a man on a narrow and obvious mission. So don't play this altruistic *holier than thou* card.....Lee doesn't need to direct me to Goodinfo's blog as a source of reliable information. Goodinfo has demonstrated unequivocally that he has self interest at heart. It's not his land, his water ( just going to pump a modest 120,000 gallons per hour ), or his lifestyle at stake. He's just a proponent of exploiting it all, and anyone else he can, for his own financial gain. Goodinfo's agenda is singular, selfish, and particularly self serving, and should be so identified. And, yes, it is up to Lee as our supposed impartial representative to responsibly review the content and the agenda of bloggers/websites he not only directs us to, but quotes. It portrays some air of legitimacy that is not warranted. Otherwise, I'm left to question Lee's agenda. I'm not arbitrarily against the potential of the project. I,like many others have more questions than answers at this early juncture, let's just not invite the fox into the henhouse without acknowledging that that's what he is ! That's fair enough. We already knew who Goodinfo is and, after a little coaxing, you revealed who you are. Now let's move on and focus on the facts. Nice to see that my blog has inspired a conversation. Thats the power of the internet, bringing the world together.